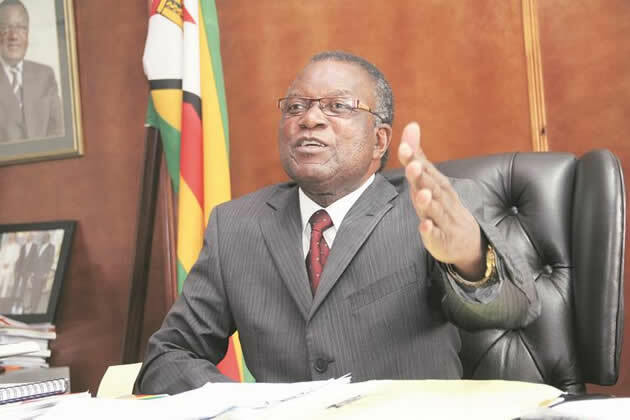 UNDER-FIRE Energy and Power Development minister Joram Gumbo systematically obstructed investigations into the alleged looting of funds at the Zimbabwe National Roads Administration (Zinara) to protect corrupt officials when he was in charge of the Transport ministry, it has emerged. According to confidential documents obtained by the Zimbabwe Independent this week, Gumbo thwarted investigations by muzzling the board and shielding senior ministry officials and Zinara managers involved in a multi-million dollar tender scandal at Zinara. In addition, sources at the ministry revealed Gumbo blocked moves by then permanent secretary in the ministry Machivenyika Mapuranga to suspend two senior ministry officials, legal director Angeline Karonga and engineer Eric Gumbi, who is director of roads. Karonga and Gumbi allegedly tried to block investigations into the abuse of state funds for the rehabilitation of roads in rural areas. They are accused of corruptly giving their companies road rehabilitation projects. Documents show that following a damning exposé contained in an audit report by Grant Thornton Zimbabwe which raised the red flag on contracts worth US$420 million, the Zinara board met on July 7 last year and resolved to take measures to prevent massive losses at the cash-rich parastatal. It also resolved to suspend senior staffers implicated in corruption. The board, at the time chaired by Wilfred Ramwi, met again on July 25 last year and resolved to appoint a disciplinary committee to investigate four Zinara senior executives, Precious Murove (administration and human resources director), Simon Taranhike (finance director), Shadreck Mutengabadza (finance manager) and Peter Boterere (administration manager). The committee was chaired by retired High Court judge Selo Nare. A letter notifying Nare of the appointment dated July 25, 2017 reads: "This serves to notify you that the board has resolved to appoint you as the chairperson of the ad hoc disciplinary committee constructed in terms of Section 2.1.9 of the Zinara code of conduct for purposes of conducting a disciplinary hearing against Mr P Murove, Mr S Taranhike, Mr Boterere and Mr Matengabadza. All information divulged in the disciplinary hearing shall remain private and confidential and shall not be discussed to any party other than the Zinara board." Following these developments, the board then requested a meeting with Gumbo and Mapuranga on August 2 2017, but the minister excused himself barely 24 hours before it began without giving reasons. "As I will not be in attendance at tomorrow’s meeting, my observation from your comments is that the reputation and integrity of Zinara are at stake. The board shall leave no stone unturned to protect Zinanra. I therefore will be in support of the informed position that the board will take," Gumbo wrote to Ramwi in an e-mail sent through his office secretary Patricial Bwerinofa on August 1. However, despite committing himself to abide by the board’s decisions, Gumbo later directed Ramwi to call off the investigations, reverse its decision to suspend the senior officials and to immediately withdraw criminal charges against them. Ramwi informed board members of the minister’s directives in a multiple-receiver email sent at 2:19pm on August 1 2017. Ramwi complied with the directive and, subsequently, the investigations never took off. "The minister would like the Zinara board to tell the ministry if the institution actually has a case and what are the chances of succeeding. Colleagues, you would recall our special meeting of the 7th of July 2017 which deliberated on the same issue and resolved to drop the Murove/Boterere case leaving the Taranhike/Matengabadza case to proceed," Ramwi wrote. "Latest developments are indicating that even the Taranhike/Matengabadza case’s merits are weak, questionable and doubtful. There are details I cannot put down here which will be discussed directly, but my own view after following the issues closely would be to suspend the appointed committee’s hearings until further notice and find a way to deal with the matter internally." Ramwi followed that up with a letter to Gumbo on August 23 2017, informing him that the board had acceded to his demands. "Sir, following the board’s special meetings of 4 and 18 August at which presentations were made to the board by the affected employees, the board analysed the facts thoroughly and carefully leading to a resolution to withdraw the case and work on the issues internally," the letter reads. "From the presentations made to the board, it was noted that the matter affects international relations with players from South Africa as well as Zinara’s local stakeholders. The facts on the ground fail to establish a case of theft of Zinara funds or that the employees in question actually benefitted in the process. It is the board’s view therefore that the case be withdrawn, recall all four employees back to work as we continue monitoring and dealing with the case internally." Documents also reveal serious turf wars between Gumbo and Mapuranga, who felt that he was being sidelined which he said constituted a breach of protocol. Letters flew furiously between the Zinara board, the management and Gumbo, circumventing the permanent secretary who is the ministry’s principal accounting officer. Mapuranga vented his frustrations in a letter to Zinara dated August 30 2017 in which he said he was peeved about being left in the dark. This was after he had been served with a copy of the board’s resolution to halt the investigations. In the letter, Mapuranga said he was still of the opinion that the quartet had a case to answer. "I wish to register my astonishment because the board resolutions are being communicated directly to the minister. I am even more astonished because you averred that a copy of the resolutions was requested by the office of the minister for reasons I am not privy to. It seems to me that the criminal and labour cases had been instituted against the four employees because there were prima facie reasons for doing so," Mapuranga wrote in letter which was copied to Gumbo, Ramwi and senior ministry officials. "Now we are told that the cases have been withdrawn were not furnished with the reasons why this has been done. One would have allowed the cases to run through the entire process to a definitive conclusion in order to tell whether or not they are guilty." In another letter dated August 25, 2017, Mapuranga directed the Zinara chief executive officer, Nancy Masiyiwa, to cooperate with officers from the Zimbabwe Anti-Corruption Commission (Zacc) who had just opened a fresh probe into the sleaze allegations. "On 24 August 2017, I was visited in my office by two officers from Zacc. They averred that they were investigating possible cases of corruption at Zinara. They further requested me as head of ministry to facilitate investigations and I assured them that I would not hinder such investigations," he wrote. "I am therefore requesting you to cooperate and meet with the investigation team and answer their questions on procedures followed in the award of tenders and payment to road authorities and contractors." However, Zacc investigators did not make any headway after being frustrated by Gumbi and Karonga, prompting Mapuranga to suspend the duo whose companies are involved in questionable tenders. "The SPB (State Procurement Board) chairman states that the investigation team has reported that some officers are not cooperative and relevant information is not available for the investigation," the letter, identical to the one which Mapuranga sent to Gumbi, reads. "The investigation team has unravelled some officers implicated in the contracts under review that are still holding influential offices and this situation is precarious to process. I wish to notify you that you are hereby suspended forthwith from duty in order to facilitate the conclusion of the investigations. Your suspension will end when the SPB notifies that they have concluded their investigations."